The Houston Texans and Andre Johnson have agreed to part ways. Johnson has been a member of the Texans organization for all 12 years of his career, starting in 2003, when he was selected 3rd overall in the NFL Draft. 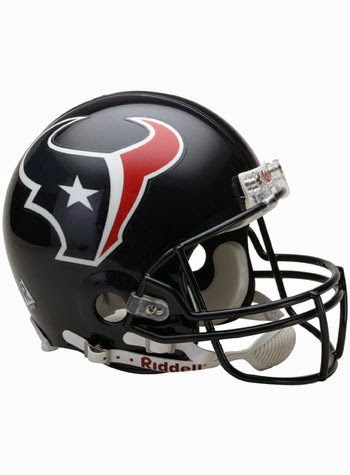 The Texans franchise started with an expansion draft in 2002, so Johnson is essentially the face of the franchise, even though Tony Boselli was the teams first player selected in the expansion draft. Johnson made an immediate impact, gaining 2118 yards on 145 receptions over his first two seasons, including 1142 during his ssecond year. He totaled 10 TDs. David Carr would be his QB from 2003-2006, before the Texans traded for Matt Schaub. Johnson suffered a knee injury during Schaub's debut season, limiting him to 9 games, but would return to set career highs in rec (115) and yards (1575) in 2008. Johnson would later set another career high in receiving yards during the 2012 season with 1598. Andre Johnson has yet to catch 10 touchdowns in a single NFL season. 2009 was the only time Johnson caught 9 TDs. He caught 8 in '07,'08, '10. Over his final two years with the franchise, Johnson was forced to catch passes from Ryan Fitzpatrick, Case Keenum, Ryan Mallett, Tom Savage, Case Keenum and T.J. Yates. A tough task for any WR. Believe it or not, 10 active players have more receiving touchdowns. Wayne is the only active player with more receptions. Jason Witten, Anquan Boldin, Steve Smith and Larry Fitzgerald are the only others with 900+. Johnson will find himself in the top 10 by the end of the 2015 NFL season (302 yards shy), and he COULD creep into the top 5 (1530), should he remain healthy and in a pass happy offense. Again, Wayne is the only active player with more receiving yards. Fitzgerald (12,150) and Calvin Johnson (10,405) are the only players young enough, who have played long enough, to even think about passing Johnson on this list. Megatron's injury history might keep him from reaching the top 10. Johnson passes the torch to DeAndre Hopkins, who gained 1210 receiving yards on 76 receptions (127 targets) and scored 6 touchdowns in his 2nd season in the NFL.